is consultant and communication expert. Over five years Marie was in charge of the topics of corporate responsibility, corporate culture and corporate communication at middle-sized publisher NWB Verlag, which specialises in the fields of tax and economy. During this period, she co-developed the sustainability brand and management methodology 'N-Kompass' and was editor of the N-Kompass magazine, a specialised magazine focusing on sustainable business in middle-sized companies and their success stories. She is a certified CSR Manager and Consultant (FA). Her experiences include advising companies setting up a sustainability management system and processes in order to integrate them into corporate culture. 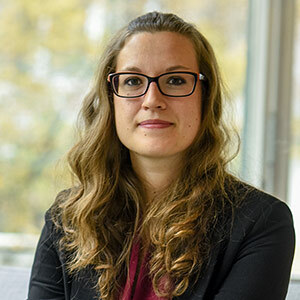 Her passions lie in (sustainability) communication, editorial work as well as value-driven change management for the 'Mittelstand' (middle-sized companies) in Germany. She has a Bachelor degree in plurilingual communication (EN/FR) and a Masters in European studies. Raised bilingual (German and French) she discovered early on her passion for languages (speaks German, French and English fluently as well as Spanish). During her Bachelor studies she spent four month in Paris for an internship in the field of communication in publishing. After her Masters, she worked several months for an environmental organisation in Mauritius, where she coordinated and jointly managed various sustainability projects.